Russell Simpson has reported the busiest start to the year in recent years, with January activity four times that of 2018. The agency’s success has been bolstered by strong repeat business and the ability to deliver a truly personalised customer experience, allowing them to achieve growth in the light of Brexit. The family-run agency, which is celebrating its 40th anniversary this year, has enjoyed record breaking growth of rental instructions over the past two years, enjoying success in their home patch of Chelsea, across to Belgravia, South Kensington, Mayfair, Marylebone, Bloomsbury and Covent Garden. The rental team has recently added another string to its bow, with the appointment of dedicated Property Management specialist, Annabelle Routledge to cement their core value of five star customer service even in such an active market. 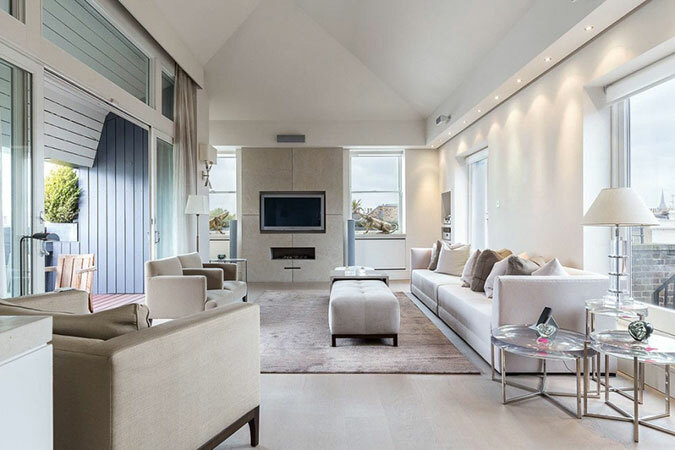 The image of the property used is the Queens Gate Penthouse, available for £3250 per week. Russell Simpson is currently letting a spectacular three-bedroom penthouse apartment in Queens Gate for £3,250 per week. Available immediately, the property boasts views across South Kensington, roof terrace and direct lift access.